Here is an exciting faculty opportunity in the web, networking, and mobile applications field. 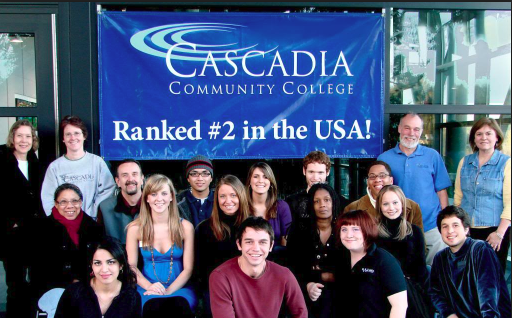 The two Full Time Tenure-Track (Web Applications and Programming, Networking Infrastructure and Mobile Application Development areas), faculty will contribute to the implementation and enhancement of Cascadia’s curriculum and course of study in its degree development. Teaching duties would focus on upper-level courses in mobile development, front and back-end, and may include classes in web applications and/or programming and/or networking, and mobile application development. This position reports to the Dean for Student Learning. Bachelor’s degree in technology (IT) or related field from a regionally accredited college/university. Master’s Degree from a regionally accredited college/university. If Master’s was not in IT, additional coursework (15 quarter credits or more, or equivalent) in a technical area. Experience or training to include two years of recent (within the past 5 years) professional work experience in a technical field OR continuous teaching with recent re-exposure to industry OR minimum of year successful teaching experience in IT related disciplines. One year of full-time (or equivalent) community college teaching OR industry training experience in a computer-related area. Professional and/or teaching experience in both front-end and back-end mobile development. Demonstrated commitment to pluralism and the ability to support a diverse workplace and educational environment. For application instructions and to view the complete vacancy announcement/job description, please visit Cascadia College here to apply. The selected faculty person is expected to start Spring 2019. The salary is $55,308.00 to $60,343.00/year for a 172-day contract. This entry was posted in Best Practices, CTC Faculty, Emerging Technologies, Featured, IT Curriculum, IT Technical Knowledge and Skills, Workforce Trends and tagged Cascadia College, Cascadia College Ranked #1 in USA, Mobile Application Development Faculty Position, Tenure-Track. Bookmark the permalink. Trackbacks are closed, but you can post a comment.